Lightweight paper mask offers economical protection against nuisance dusts. Won't interfere with glasses, goggles, or speaking. Masks come in a box of 50. 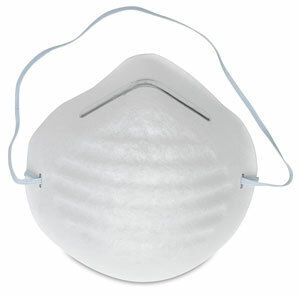 Note —This product is not designed for use as protection against toxic dust and vapor.